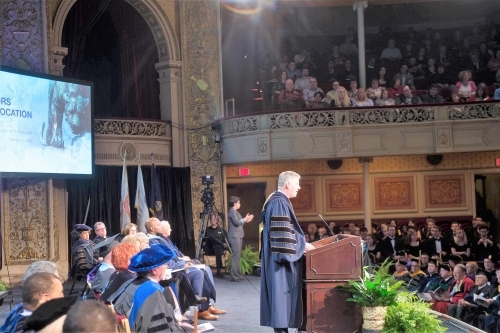 Each year at Honors Convocation, we gather to celebrate the achievements of our faculty members and students that characterize the quality of academic life at the University of Pittsburgh. We also applaud the many contributions that these individuals make to the institution and the local community. The University of Pittsburgh will pay tribute to these outstanding faculty and students during the University's 43rd annual Honors Convocation on Friday, February 22, 2019, at the Carnegie Museums of Pittsburgh Music Hall in Oakland. can be directed to 412-624-7100.